FinDev Canada, Canada’s development finance institution, is pleased to announce the first members of its Advisory Council. The Council will guide and advise the institution as it works to identify opportunities to use financial solutions to positively impact global poverty. The Council members were chosen in consultation with the Ministers of International Trade and International Development and are recognized leaders with extensive knowledge in international development, gender equality, and development finance. Julia Sánchez, President-CEO of the Canadian Council for International Cooperation (CCIC). The Council will guide and advise FinDev Canada in such areas as priority sectors and regions of activity, opportunities for innovative approaches to development finance, monitoring and evaluation, transparency, and in achieving its development impact goals. “We are so fortunate to have assembled this group of eminent persons with expertise in business, international development, women in business and development finance,” said Paul Lamontagne, Managing Director of FinDev Canada. “Their advice and guidance will help us build a development finance institution of the 21st Century”. FinDev Canada’s Advisory Council will be composed of up to 10 members. New appointments will be announced in the future. Members are selected from civil society, industry and business, academic and research institutions, and other sectors of interest. Margaret Biggs previously served as President of the Canadian International Development Agency (CIDA) from 2008 to 2013, and as Deputy Secretary to the Cabinet and Assistant Secretary, Priorities, and Planning, in the Privy Council Office (Government of Canada) from 2002 to 2008. She has represented Canada in numerous international fora and has served as Canada’s Alternate Governor to the World Bank, as International Executive Co-Chair of the China Council on International Cooperation on Environment and Development. She is an active contributor on issues related to Canada and global sustainable development and author of “Inclusive Trade, Inclusive Development: Opportunities for Canadian Leadership (Institute for Research on Public Policy, Redesigning Canadian Trade Policies for New Global Realities, 2017). Ms. Biggs is the current Matthews Fellow on Global Public Policy at Queen’s University; Chair of the International Advisory Committee of UN University’s Institute on Water, Environment and Health; and she sits on the Board of World University Services Canada. Debby Carreau is an entrepreneur, author and Founder and CEO of both Inspired HR and Inspired WorkplaceTM. She is widely recognized in the media and the business community as a workplace thought leader. Debby has been recognized as one of Canada’s Most Powerful Women on several occasions, marking her entry into Canada’s Top 100 Hall of Fame as their youngest inductee. Her book, The Mentor Myth is a staple for professionals who are new to the work force. Ms. Carreau is a proven leader in helping businesses to create great workplaces. Debby is a board member of Young Presidents Organization (BC Chapter), Elevation Group and a member of the Board of Governors of Collingwood School. She was previously an Advisory Board member for Women’s Executive Network, Respect in the Workplace and is the Chair for 1000 Women Rising. Her firm has been recognized as Canada’s Top HR Consultancy and listed as one of Canada’s Top 25 HR Professionals. Anne Gaboury is the current President and Chief Executive Officer at Développement international Desjardins (DID), a position she has held since 2002. DID is a Canadian institution specializing in the development of inclusive finance in emerging or developing countries. She is also President of the Strategic Orientation Committee for AUF (Agence universitaire de la Francophonie), a member of the board of directors of the Institut québécois des Hautes études internationales at Laval University and a member of the management committee of the Proxfin international network. Daniele Henkel, CEO, Daniele Henkel Inc.
Danièle Henkel is a compassionate and articulate businesswoman who has made her mark, both personally and professionally, in Quebec. Her eponymous companies have helped pave the way for wellness and “beauty in authenticity” as a new social standard in the business world. As an influencer, Danièle Henkel lends her voice to many causes that are close to her heart. One of the areas she is dedicated to is creating a stronger Quebec that is more open to the world. Her passion for Quebec (and female) entrepreneurship leads her to invest in, fund, support and guide companies in which she sees potential. Danièle Henkel has high hopes for a next generation that’s strong from both an economic and a human standpoint, and so she focuses on education. She shares her knowledge through memorable lectures here and abroad, including in Europe and Africa. Her best-selling autobiography Quand l’intuition trace la route has inspired several generations of women to stand tall. As CEO of Convergence, Ms. Larrea leads the world’s first institution dedicated to increasing private sector investment in emerging markets by helping investors execute blended finance deals. Joan is an expert in catalyzing investment in places that need it most and brings with her over 20 years of experience in emerging markets investing. Prior to joining Convergence, she served as U.S. Overseas Private Investment Corporation's Managing Director for Business Development and Partnerships, leading efforts to partner with philanthropic and private investors to increase capital flows to OPIC's target markets. Before OPIC, Joan served as a managing director on the emerging markets team at Global Environment Fund, a privately held asset manager with $1 billion in assets under management, dedicated to the energy, environmental, and natural resource sectors. Ms. Larrea began her career as an investment officer at the International Finance Corporation, where she concluded pioneering transactions in diverse infrastructure and manufacturing sectors across Asia. Mr. Martin joined Engineers Without Borders (EWB) Canada’s Toronto-based executive team as Vice President of Strategy and Investment in 2011. There he led an organisational transformation process to enable EWB to adopt a social venture investments approach in Sub-Saharan Africa. He has served as CEO to EWB Canada since 2014. He holds a PhD in engineering and a Graduate Diploma in Social Innovation. Julia Sánchez has extensive experience in senior international development management, including many years working in developing countries and with Canadian and international partners and donors. Ms. Sánchez has designed and managed programs in areas such as humanitarian assistance, reconstruction, governance, democratic development, community-based economic development, international volunteering and, more recently, campaigning on climate change. She performed in a wide range of diverse postings in Canada and abroad during her 14- year career with the Centre d'étude et de coopération internationale (CECI) and has also worked with Oxfam-India, the Global Campaign for Climate Action (GCCA), UNHCR and USAID. 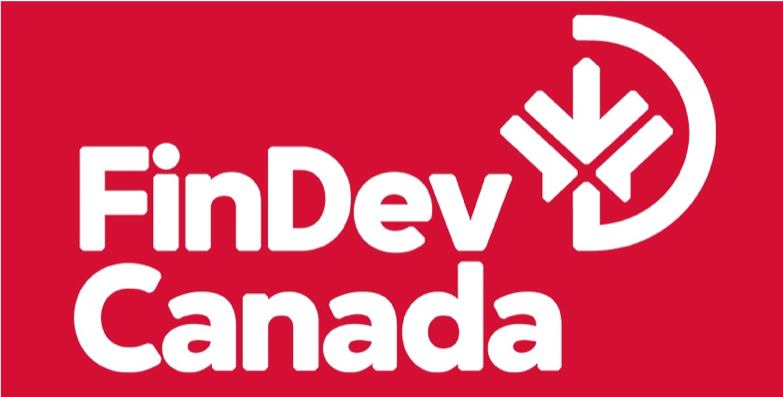 FinDev Canada's mandate is to combat poverty through economic growth, by offering financial services to the private sector in developing countries. Financing will focus on three main areas: market development through job creation, economic empowerment for women, and climate change mitigation and adaptation. FinDev Canada’s first transaction was a US $10 million investment in M-KOPA, a Kenya- based ‘pay-as-you-go’ energy provider to off-grid homes that provides kerosene-free electricity to over 600,000 homes across Africa.